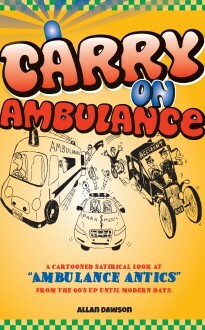 Carry On Ambulance is a collection of true stories of ambulance service antics from the 1960s to the present day. In the early 1960s, the main qualifications for acceptance into the ambulance service were the possession of a clean driving licence and a strong back. Tradesmen, mechanics, carpenters, car workers and ex-service personnel, after a minimal amount of training, could all assume the role of ambulance driver/attendant. That all stopped in 1965, when the Miller Report recommended that ambulance services should provide treatment as well as transport. I have compiled Carry On Ambulance of over 100 stories to pass down to posterity some of the extraordinary, bizarre and comical moments of the past 50-odd years. Many of these events happened before political correctness had been invented. In the interests of all concerned, the names and locations have been altered to protect the guilty. All the stories are true.